A while ago I made up some window relays as I had read about them taking the stress of our problematic switches which are known to clog up . It was also said that they would speed up! Thought it made sense and was a great idea! . Anyway I'll try and show you guys how I done them in my car. I got the inspiration from these few threads on Ausrotary. My ones are more like Sim_Rx3's (under seat and professional) as he seems to have a pretty good reputation over there aye. Lengths of cable will depend where you plan on putting your relays. I believe I put them 40cm away which gave me some extra black and brown to daisy chain. You can only buy cable by the meter. 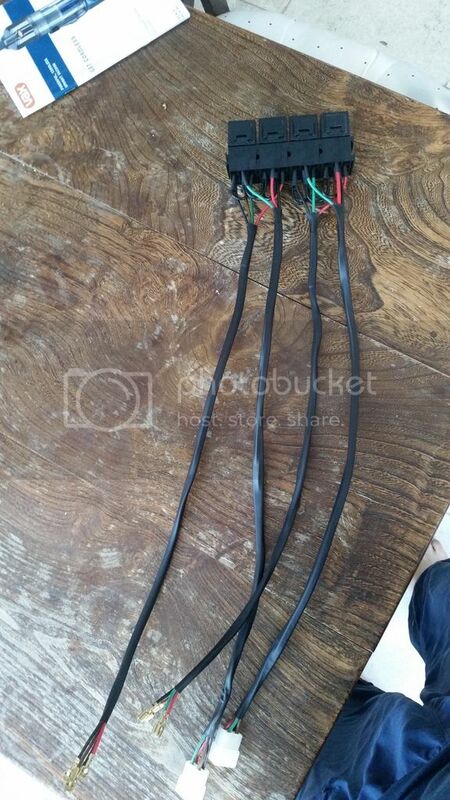 I also got tinned thin wall cable instead of plain copper thin wall. It doesn't really cost much more, so why not? 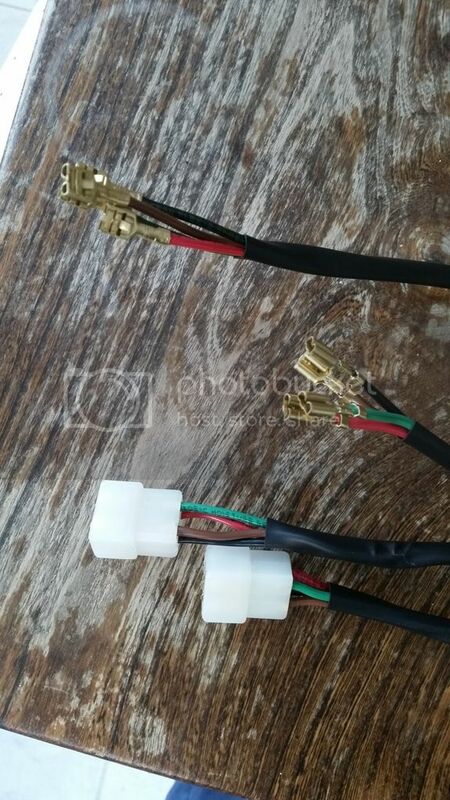 You can use heatshrink or braided sleeving to protect the wiring and make it look more professional. Can't remember where I got it from or the size I used, but it's easy enough to find. 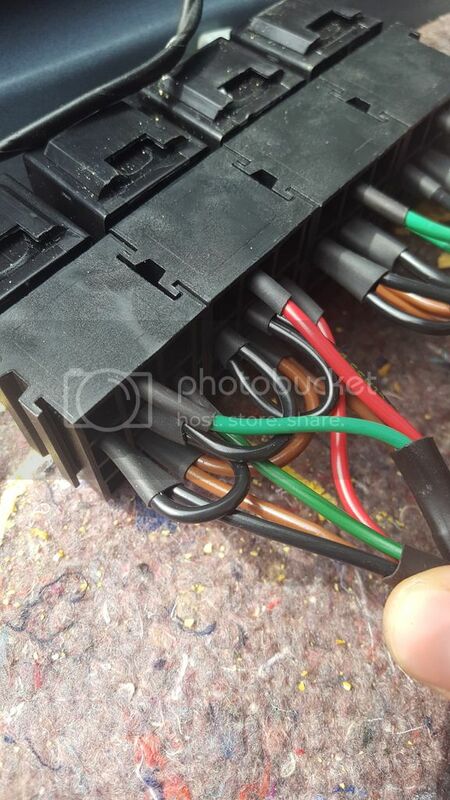 Adhesive heatshrink is used on all the relay base crimps. I'll leave that for you to decide on. Think those are all the products you need. 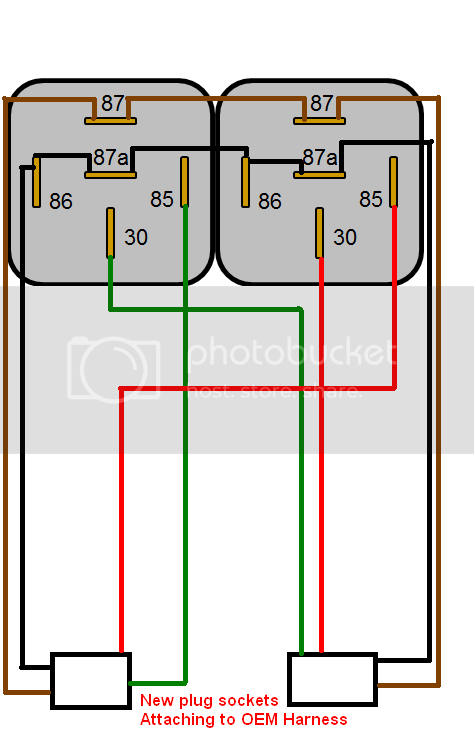 Here is a diagram I made for the way I wired them up. This is per switch! 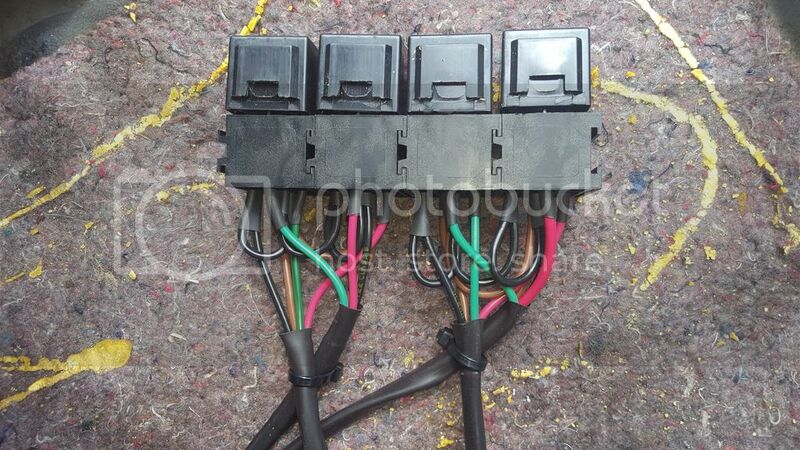 So you will need to wire up 2 of these. One plug goes into the OEM chassis loom and one plugs into the OEM window switch. Note that I used brown cable whilst the OEM will be black with a blue stripe. This is why I recommended using blue instead of brown. I installed mine under my passengers seat and carpet. There is a slight bulge ( ) from under the carpet. But you can't see it as the seat covers it anyway. Poke the OEM switch connectors down towards the seat and plug your new relay harness in! I timed my passengers window after I installed the relays (needed to adjust the driver side). Each was an average over 3 cycles. There is a noticeable difference . Pretty stoked with the final result and how they're performing. No worries of switches clogging up either! Great writeup and nice wiring work you did there. This is the best mod ever and probably the first one I'd recommend to anyone with a 1st gen.
ian65 wrote: you ought to build them and sell them!